Yonkers Ghost Investigators say ghosts are very real and haunting places you’ve been to in Westchester. 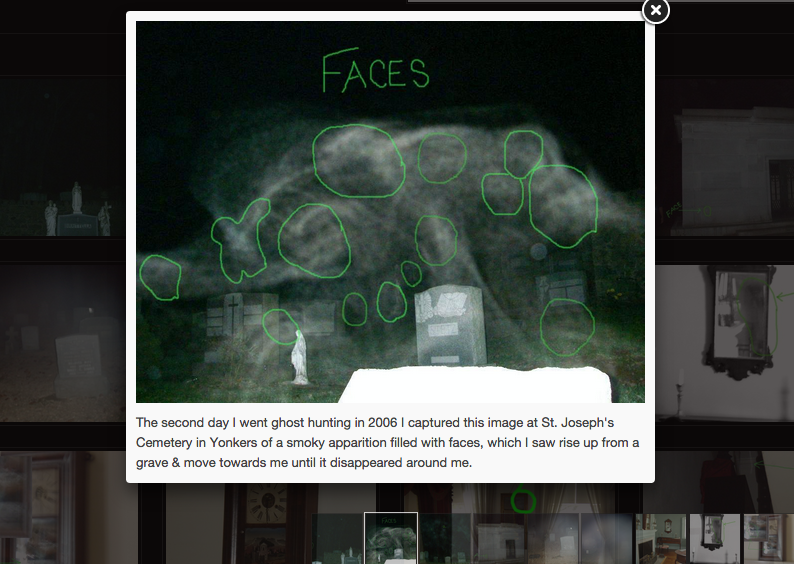 Medina, 44, of Yonkers, who has long been interested in ghosts, formed his squad in 2006 after visiting St. Joseph’s Cemetery in Yonkers. It was there that he saw the craziest thing he’d ever seen. Medina was scolding his cousins for making fun of the names on the tombstones while he was taking pictures. 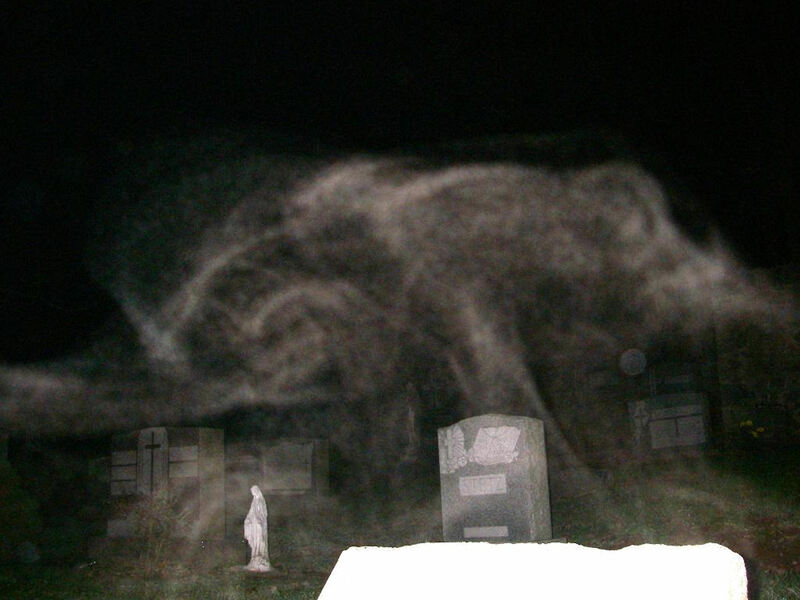 He and his cousins saw an apparition of a floating woman over a tomb in the cemetery. 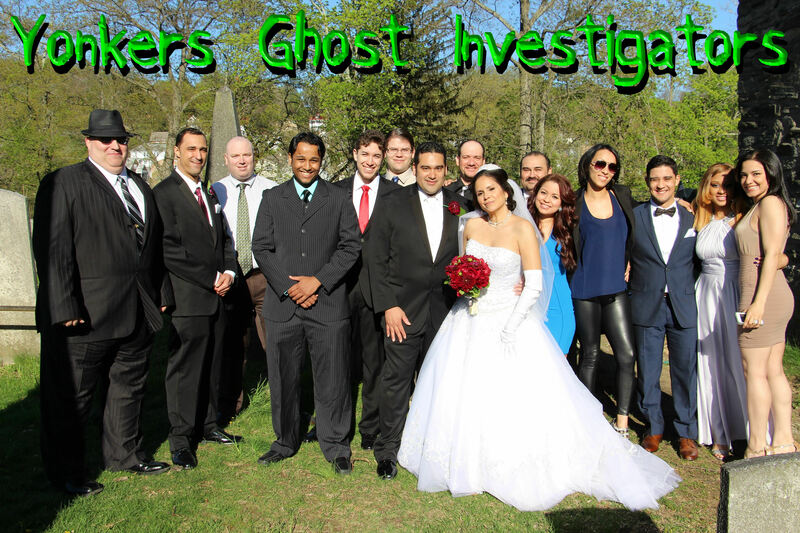 Since then, the Yonkers Ghost Investigators have gone on more than 300 ghost hunts throughout Westchester County and beyond. Click here for a list of investigations and findings, including video, photos and EVP recordings, and other cool stuff on their website. Medina says one of the most haunted places in Westchester is Untermeyer Park. Listen to the recordings below from the Yonkers Ghost Investigators of what Medina says are spirits saying “Mommy” to his ghost hunter wife Jo-Ann. “Interestingly enough we met last year at a funeral,” said Medina, who told us how he used to hang out in the park during the 1980s while he was a student at Elizabeth Seton. He tells Westchester Woman that he heard a voice say either, ‘Momma’ or ‘Mommy!’ while at the Eagle’s Nest [at Untermeyer Park]. There are about 15 members currently on the team from paranormal investigators, EVP (electronic voice phenomenon) specialists, photographers, technical crew, and field investigators. All of the members have cool nicknames like Shadow, Rouge, and Dream Weaver. When Yonkers Ghost Investigators gets a call from an individual asking them to check out a building or home, they do so at no charge. Other times the crew will go off and investigate places they’ve heard of and are curious about. Once a site is chosen, the team heads out with their equipment: a spirit box that uses white noise to communicate with ghosts, an EMF meter that measures electromagnetic fields, and a video camera. Only about four team members go out at a time to reduce noise contamination. Medina, a.k.a. Nightraven, used his investigations along with research to write two fictional works and his latest book “Ghosts and Legends of Yonkers,” which is a non-fiction account of the City’s supernatural legends. 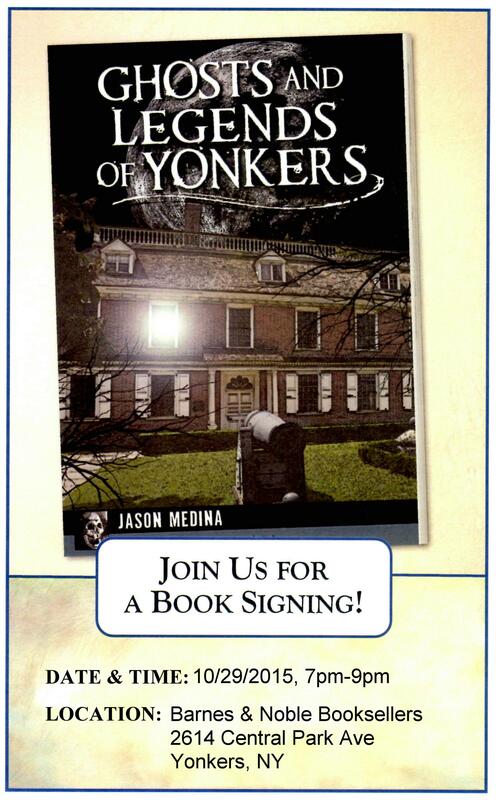 He will be signing copies of his new book at Barnes & Noble at Central Plaza in Yonkers on Oct. 29 at 7 p.m.